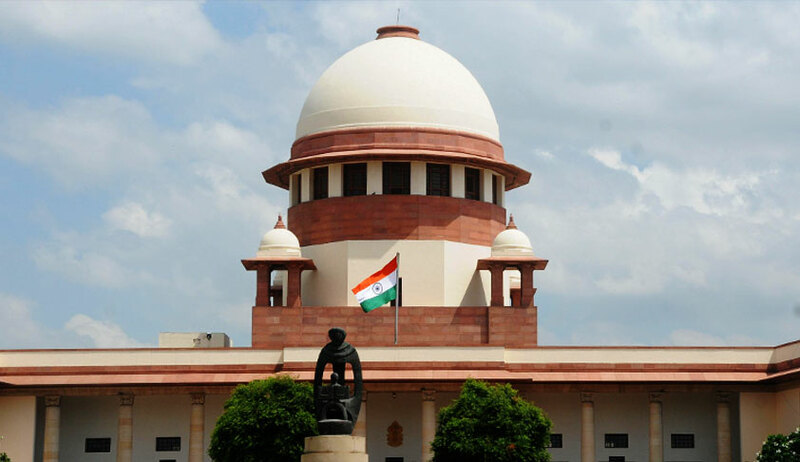 While hearing an appeal against a 2017 Delhi High Court judgment in a motor accident claim, a Supreme Court bench of Justice Kurian Joseph and Justice Mohan M Shantanagoudar recently refused to entertain the contention of the insurance company that the contributory negligence of the taxi driver had not been established. Both the Motor Accidents Claims Tribunal (MACT), as well as the high court, had not questioned the negligence on the part of the driver on account of the fact that the taxi involved in the accident had collided against a stationary truck. Respondent no. 1 before the apex court had suffered injuries in a motor vehicular accident that occurred in 2006 in Haridwar, Uttarakhand, while travelling in tourist taxi, admittedly insured against third party risk with Oriental Insurance Company Ltd. (the present appellant). On her claim petition, the MACT accepted the case for compensation on the ground that the accident in which injuries were sustained occurred due to negligence on the part of the taxi driver. The insurance company on which the liability to pay the compensation was fastened, preferred appeal before the Delhi High Court raising the contentions that the negligence on the part of the taxi driver had not been properly proved since the claimant in the course of her deposition had conceded at one stage that she was sleeping during the travel which, in the submission of the insurance company, would show that she was not in a position to narrate the sequence of events leading to the occurrence so as to pin down the responsibility on the taxi driver for the collision which involved a stationary truck. In turn, the high court observed that the contention of the insurance company about there being no proper proof of negligence on the part of taxi driver only because the claimant had conceded at one stage during her deposition that she was sleeping during the travel cannot be accepted, the sequence of events leading to the occurrence having been brought out vividly by the evidence. The very fact that the taxi had collided against the stationary truck speaks volumes about negligence on the part of a taxi driver. Going by the preponderance of probabilities, the finding returned by the tribunal on this score had not been interfered with. Again, before the Supreme Court, the third party insurer contended, “It is a case of contributory negligence. However, despite taking such a contention, no steps have been taken by the respondent(s) to implead the parties related to the vehicle which was parked on the road”. Rejecting the contention, the apex court opined, “It was for the appellant to take steps before the Tribunal to ensure that the driver, owner and the Insurance Company of the vehicle concerned are brought on the party array. Since that stage, in any case, is over, it is for the appellant to work out its remedies, if any, available under law in appropriate proceedings”. On the basis of evidence led, the tribunal had accepted the claim to the effect that the claimant had been rendered permanently disabled to the extent of 100%, making the calculation of loss of future earnings accordingly, the assumption being that she had lost her job due to paraplegic stage to which she had been reduced and that she would not be gainfully employed for the remainder of her life. The High Court, sitting in appeal, had opined that though the case for the loss of actual income for the period of 39 months between 2006 and 2009 when the present respondent was totally immobile had been made out, given the fact that she had started working w.e.f. October, 2009, the functional disability for the calculation of the loss of future income should be pegged at 50%, as opposed to the 100% envisaged by the tribunal. The high court has also held that for calculating the loss of actual income for the aforesaid period of 39 months, the calculation will have to be made on the basis of income then earned but, given the progressive rise in income that she would earn in normal course as indeed the effect of inflation on the real value of the money, such calculation will have to factor in the element of future prospects which should be to the extent of 30%. Further, the loss of future income due to functional disability to the extent of 50% with reference to the date on which she would retire, the calculations would require the present emoluments to be taken into consideration with the element of future prospects of increase to the extent of 50%. Before the Supreme Court, it was argued on behalf of the third party insurer that there is no justification in granting additional 30%, after permitting 50% enhancement. However, the apex court ruled, “As far as additional 30% is concerned, in the peculiar facts of this case and in the nature of permanent disability to Respondent No.1, we are not inclined to interfere with the addition”. The rate of interest of 7.5% awarded by the MACT was enhanced to 9% by the high court. On the objection expressed by the third party insurer, the same has been reduced to 8% by the Supreme Court “in the peculiar facts of the case”.